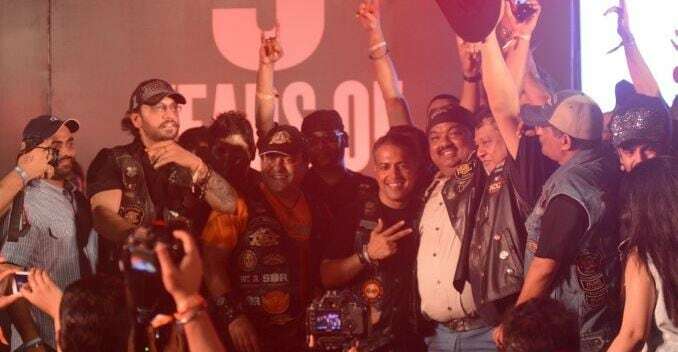 As 2,000 Harley-Davidsons and over 10,000 people roared in to Goa last weekend for the 2015 India Bike Week, NDTVAuto had the chance to speak to Anoop Prakash, Managing Director, Harley-Davidson India. 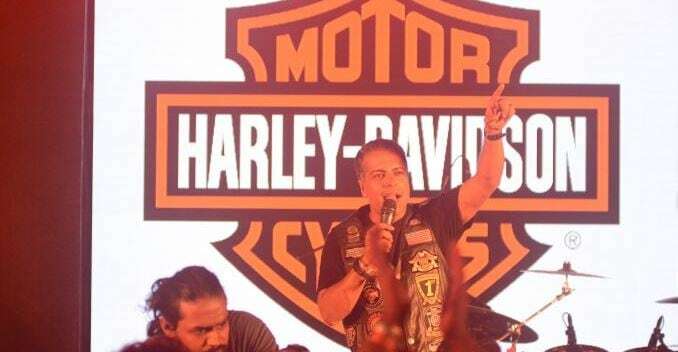 He says Harley-Davidson India will continue to listen to its customers, much like it always has in its 5 years of operations in the country. Anoop also talked about how the Indian market is shaping up, and also shared his hopes and plans for not only the company's future, but also about how it intends to contribute to leisure motorcycling here. I remember, a couple of years ago, you'd said that the aim is to grow Harley-Davidson at a rate of 25% year-on-year. How has the growth been, and how much has the market share grown from 40-50% that it was till a couple of years ago? Over the course of 5 years, we've definitely seen high double-digit growth. If you look at he numbers from SIAM, you can see the market entirely. What's been great about this that as the market has grown, we've seen new entrants coming in, and we've been able to, of course, achieve our growth with new model launches. For example the Street 750 launching last year, and it has become the number one selling bike in the premium space in India. So it has helped us achieve the growth ambitions that we had, and it's really driven by our customers. I mean the customers are really enjoying their experience, and that has driven a lot of the organic growth that we've seen for Harley-Davidson. There's emphasis on local assembly and Harley-Davidson is already quite aggressive on that. Is there a roadmap which will see absolutely all - even the prime motorcycles like the Electra Glide - ultimately getting assembled locally? What we've done is invested in our CKD plants since 2011, and every year we've added additional marvels to that. Last year being the Street 750 coming in, and the Breakout, which is now assembled here as well. So this coming year is no different. We hope to launch a few new models and continue to increase the line-up. As far as touring models are concerned, I think time will tell; it requires more volume and interest in those bigger bikes to see if we'll continue. But we are always looking at opportunities to deliver better value to our customers. It's been a clear intention by Harley-Davidson to go towards the mass segment and play in the 250-300cc segment. What are the plans for that, and how's the company poised to take on the established players in the segment? We actually never had any plans for that. I think there's a rumour going around, but we actually don't have any plans for that segment. The next stage of expansion is tier II/ tier III cities? Which are the locations you've have in mind? This past year, we opened our second showroom in Bangalore, and we also opened one in Surat. This coming year, we're opening in 4-5 more locations. Today we have 17, so about 21 - 22 showrooms by the end of the year. We're looking at cities like Lucknow, Nagpur, Coimbatore, and Guwahati. So we have a great set of tier II cities to go after. The nice thing about those cities is that we're getting pulled in to those cities by customers who are already there. So we know that there is a passion already brewing for leisure motorcycling and the Harley lifestyle. So we are looking forward to going there and bringing in new showrooms, so they can have the full experience. Which geographical part contributes the most to Harley sales? We've expanded our presence in the west and south. Now we're in the north with Delhi, Chandigarh, and soon Lucknow. So it has been a very even split between north, west, and south. South is very strong if you add all the dealers together, and west continues to be great with Pune, Mumbai, Goa, Ahmedabad, and now Surat. So I think we're seeing a continuous race between the three regions, and I think right now we can say that the west is edging the others out. But with the addition of Lucknow in the north, we'll see some change there as well. The Street 750 is currently exported to Europe and other Asian markets. Are there plans to utilize the Indian facility for exports of other, bigger capacity models too? Right now, we just launched the Street 750 and 500, so the exports have commenced this year to all of these markets in Europe and Asia. And I think we have to see how that develops. So today the plans are strictly for Street. With smaller-engined motorcycles on their way, do you expect a slight change in product strategy and do an XR kind of a motorcycle too in that segment, or will you stick to cruiser body-style? No, I think our history has been full of different innovations and varieties like the XR series, which we had in the past. And now we continue to look at where our customers are moving. Look at the two Streets that are first of the products on the global platform. Our customers told us what they wanted in their motorcycles and Harley delivered on that. I think that's what we'll continue to do: listen to our customers; they'll drive our product strategy. Now that Indian Motorcycle is here, and even Triumph can be somewhat of a rival with its classic range of products, what's your view on the competition? It's great, because 5 years ago we were the only players in town. And we not only invested in building our brand, but we also had to build the entire leisure motorcycling segment. Now that there are other folks coming in to help invest in the segment and build out motorcycling, it's great for us and our customers. We'll continue to lead the market, but we're very happy to see more and more manufacturers take this market seriously. How do you see the mid-to-high capacity segment shaping up, and which segment will be the mainstay of an iconic brand like Harley-Davidson? I think both ends are actually growing. When you look at the middle-weight segment, we are seeing a lot of entrants coming in, though the traditional entrants are still there, like Enfield. So it is good to see the segment fill out and customers take that step in to the middle-weight. For us that's great, because their next step is Harley. So we like to see that pipeline of future Harley owners coming through the middle-weight segment. I also think the high-end segment is growing, because in the last year we have seen a growth in the interest expressed in the higher-end of the range. That's a lot of customers who started out with the Street 750 or Sportster, and are now upgrading to higher models because they are riding more, they are riding longer distances, and they want more out of their motorcycle. I think we'll continue to see both ends of the range growing. What does the India Bike Week mean to Harley-Davidson, and what does the company expect it to deliver for the brand? For us, we were there since the very beginning. We were a part of the founding group and helped conceived the India Bike Week. We're thrilled with the growth that we've seen in its 3rd year; from may be 3,000 - 4,000 people in the first year to over 10,000 people this year. Just to see that enthusiasm for leisure motorcycling, and to also see new brands coming in to embrace the event, I think it's done exactly what we wanted to do, which was to accelerate the Indian market and interest in bikes. I think we have also put India on the global biking festival map with the IBW. There's a huge international crowd coming in from America, Middle-East, South Africa, London; they are all here to experience the India Bike Week, so I think we're getting somewhere.